Jakarta citizens go for traveling during Christmas and New Year holidays this year.
" The counter-exodus (arus balik) will occur on January 2, 3, and 4"
Thousands of passenger have left the city from Gambir and Senen stations. 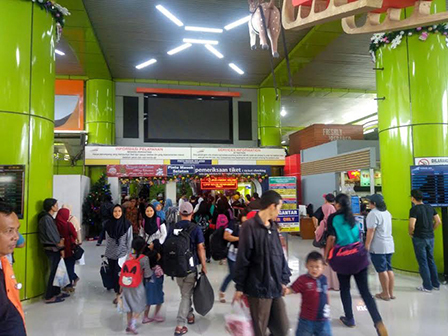 “There were 27,083 passengers were departed from Gambir stations and 43,303 people from Senen stations,” said Edi Sukmoro, PT KAI Director, Sunday (12/25). He added that mostly the passengers went to cities in Central and East Java. “We have prepared 52 regular trains and 11 additional trains,” he added. According to him, passenger number this year is higher compared to last year by 65,880 people. “The counter-exodus (arus balik) will occur on January 2, 3, and 4,” he closed.